Home Barefoot Bringing Up Baby. Or, Lord, Give Me Strength. Last summer, I got the crazy idea in my head that I wanted to raise a youngster to be my next superstar endurance/dressage horse. Yay! 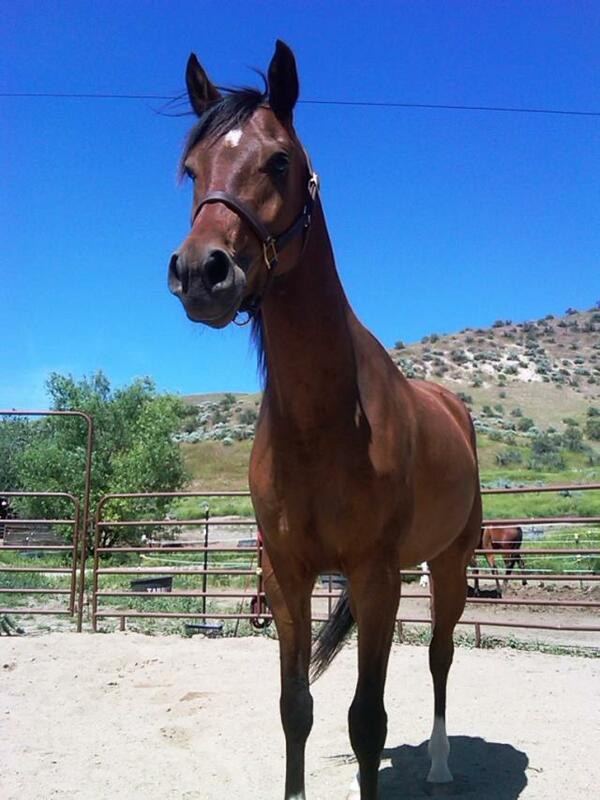 My very own baby to raise and start and do everything my way and make the perfect horse. Right. 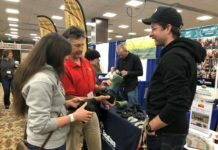 Well you see I have dealt with my share of other people’s mess-ups before, and I thought by starting something from scratch I would be bypassing the re-training necessary when someone else screws up your horse first. Well that sounds good in theory- until you get your very own youngster and realize it has had no training to screw up. That’s right- no training. Can you see where this is going? This means you have to teach it to tie, to load in the trailer, to stand still for the trimmer, who at this point isn’t making enough money to deal with a squirrly baby. That’s right, the trimmer is you. Nice. So before I had thought all this through, I picked out my kid. I had a choice of four, three-year-old geldings. This was before I realized I prefer mares. Go fig. I evaluated the group, and rather quickly picked out the tall, gangly, awkward but sweet, bay boy with four perfect white socks and a star. He was quiet and sweet and perfect. 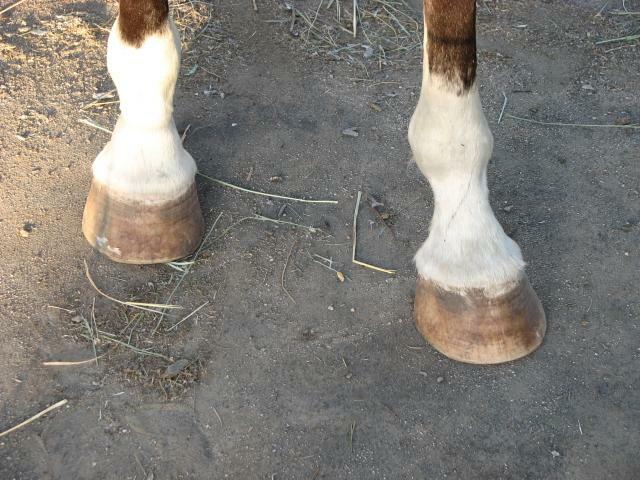 He had horrible feet, never shod, but not properly trimmed, either. He was flared and dishy. I didn’t think much about it, like I said, this probably wasn’t my most thought-out decision I’ve ever made. Oh well, live and learn, eh? My “Copper-Topper,” the day after we brought him home in July. He was fairly balanced at this point. Boy-oh-boy were there some tense periods of time when he continued to grow and went through some pretty gnarly body phases. Check out that dish, right front! We loaded up “Topper” and made our way west, on an eight-hour journey that should have taken six. In over 100 degrees of July heat. Of course we got a flat tire, and had to hang out in the alley behind Les Schwab with a never-been-trailered three-year-old for an hour or two, while they used all their loud tools and compressors and such to fix the flat tire directly under my precious youngster’s front feet. He handled everything like a champ, and when we pulled into the clinic for his overnight seven hours later I was in love. I know we’re all laughing at this point because most anyone who’s ever had such a youngster knows it’s definitely NOT all flowers and roses. 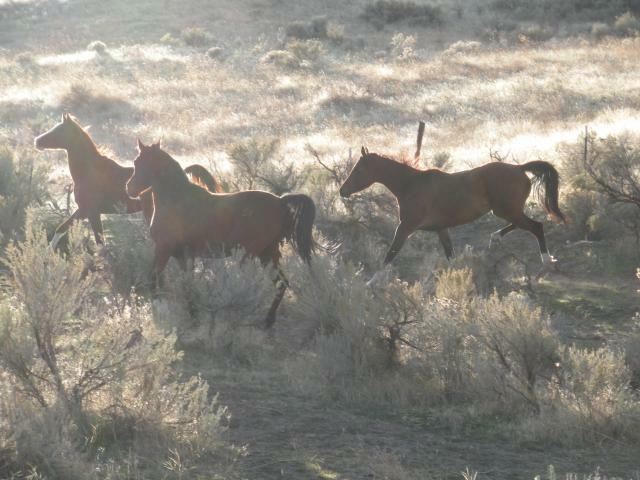 I found this out the next day, when I realized Topper, although turned out in a pasture, was going to take some time to adjust to “The Wild West.” And so the story continues, through our battles and accomplishments, our fights and our triumphs. I taught him not to stand on my leg when trimming him, and he defeated the carnivorous bovine that roam the hills surrounding the ranch. He learned to traverse the hills with the herd, respect his elders and tie quietly. Ok, I lie. He doesn’t do that, but I want him to. Wishful thinking. The Top with some pals. Yes, he is the unfortunate looking one in the back. He was so awkward! 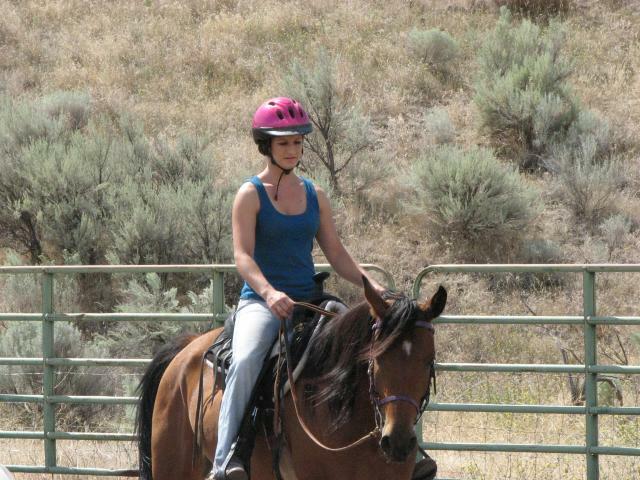 My first ride on Topper, August ’09. He HAD been backed before, so don’t give me too much credit! Stretch-Limo Phase: My least favorite and the cause for a lot of stress! Thank God he grew out of this quickly!! Unfortunately when he out-grew the limo, he grew UP. As in, I need a ladder. 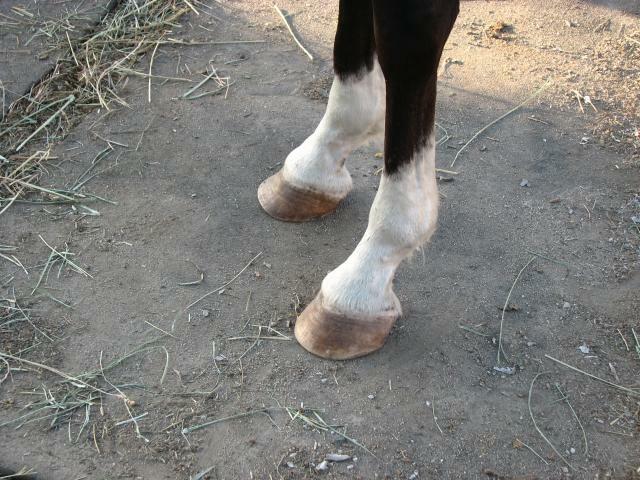 Topper’s feet were pretty bad. 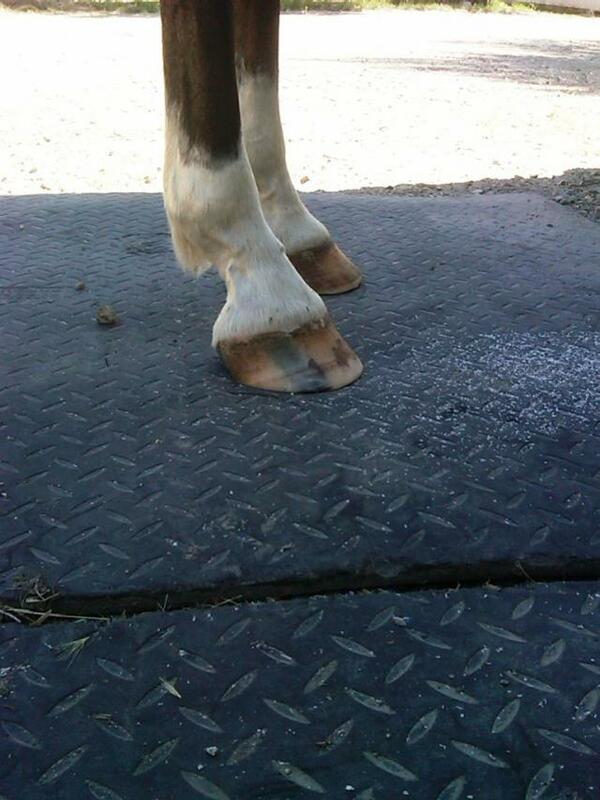 I was itching to get some barefoot trimming on his feet, and was thankful he had never been in horse shoes at such a young age. 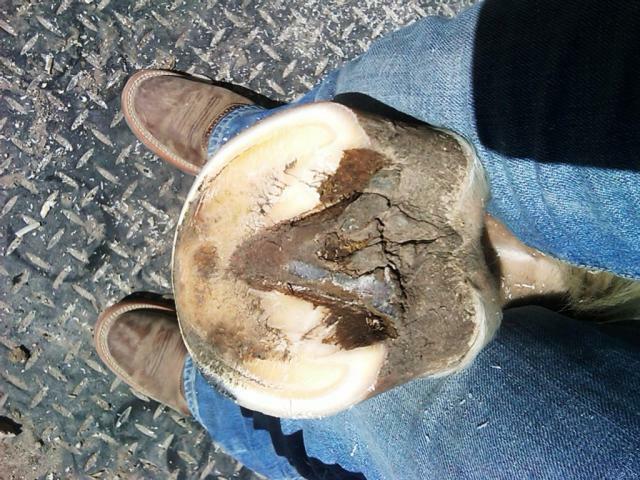 I was excited to know that he would never be shod with me, but didn’t realize how difficult it would be to get a handle on his grazing foot, which was dishy and flared. The following pics were taken the day after we brought him home. Wow, I just don’t remember them being this bad! I feel a bit embarrassed posting these pictures, considering the fact I picked out this guy! I guess the moral of the story is, you can do a lot with natural hoof trimming, and natural horse care. 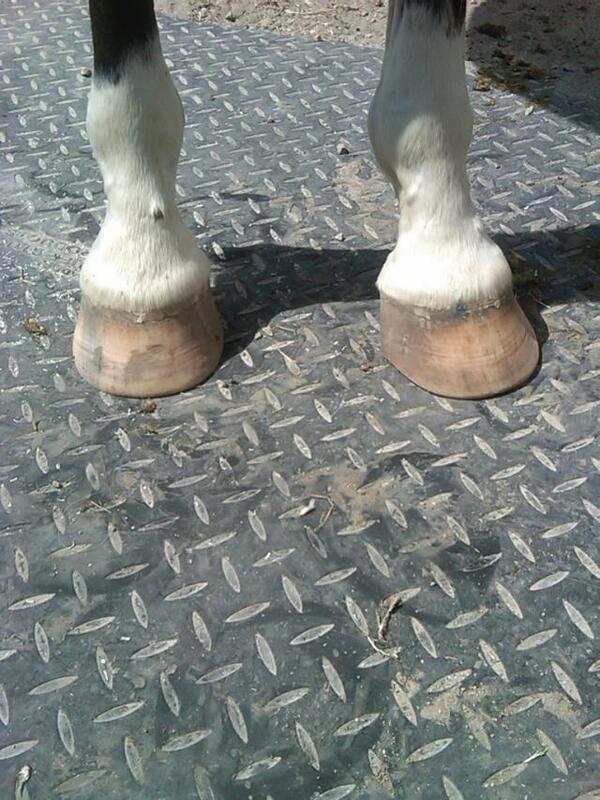 Topper’s feet have improved by leaps and bounds! 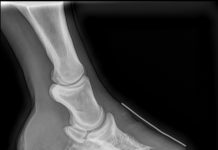 Luckily I didn’t have to deal with contracted heels or poor hoof quality, just horrible flaring that I still have to keep at bay. Given the fact he is ALL leg and only eats/grazes with his right foot back, his right front still wants to flare if not kept up on. Do you think this will improve as he ages? 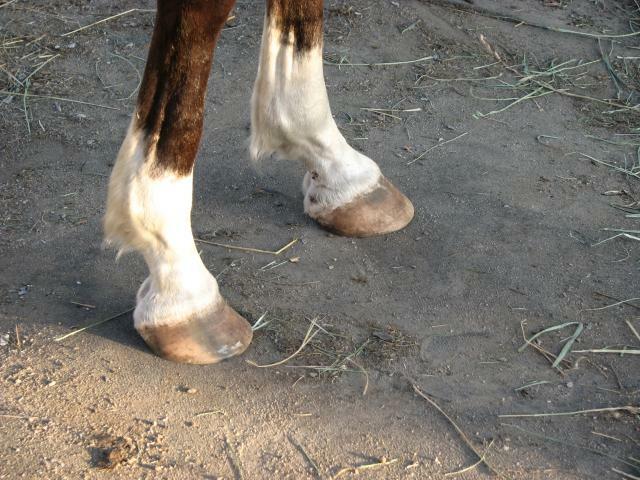 Ten months later and we have gotten Topper’s feet looking nice! I have put him in Easyboot Gloves (he wears a 1.5!!) for fun, but haven’t ridden him yet in boots as our rides are short and sweet. Since he turned four in April, I have recently started expecting more out of Topper, and can’t wait to start riding him on REAL rides, not just baby rides. For some reason that fourth birthday was psychologically big to me and he is now starting to look like a HORSE and not the Elk/Moose-Hybrid he was resembling this winter. 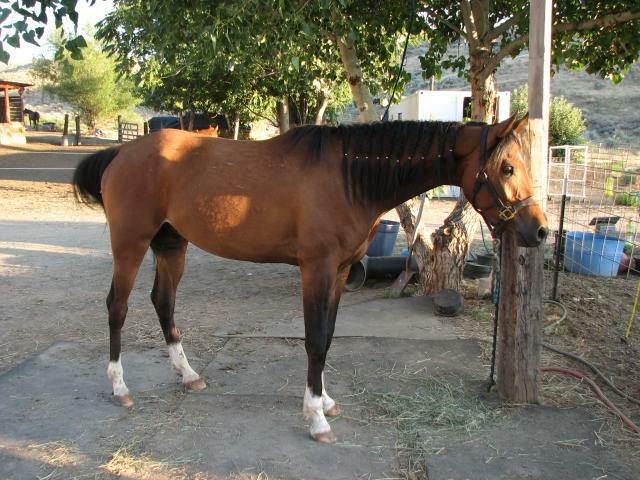 The growth stages of this horse have been amazing, I can’t wait to see him in a year!! I needed to write this post about my wiggly worm because I have been very frustrated with him lately. Sometimes you need to remind yourself how far you’ve come, because looking at things daily you tend to forget the progress you’ve made. Growing them up right takes a LOT of patience, and I have to keep reminding myself it will all be worth it in the end. I have a ton of respect for those of you who regularly start colts!! At this point I can’t say I want to do it again, and he was three when I got him, not a weaning or yearling- I don’t know if I could have done that!! As far as the feet, wow. My training skills are not the only thing that’s been tested with Topper. He has, by far, had the most challenging feet I have dealt with since I started half-way knowing what I am doing. Any thoughts on that grazing foot? I think it’s really coming along. And now, for the most IMPORTANT question- What COLOR should Topper’s trail tack be??? I have my eye on this color-scheme, any other ideas? In the meantime, I keep telling myself I will look back on all the “baby moments” and laugh. I am sure of it. Right?!?! I might even miss them. Maybe. Cute story. I’ve raised a number of babies, turning them into dressage horses. Personally, I prefer yearlings, and I really find them easier, not harder. It’s a pyramid… each lesson a building block, which unfortunately, have to be returned to occasionally so the whole building doesn’t fall down. Best of luck to you both, he’s a fine looking boy. If I can be of any assistance, send me an email. ps…they look phenomenal in purple and green! wow…a woman with kahones! usually, starting babies from birth forward is the option one takes since they are easier to handle under 200#s vs. over 1200#s…if you get my drift. one can throw them and sit on them when they need it, easier…and letting them know you should be respected as a possible predator really throws "respect" into their limited repertoire when it comes to being ‘owned’. it’s not damaging to them, nor is it inhumane. little stinkers just need to know who is at the top of the food chain and to "be good" isn’t an option but expected. is this a part arab or a full-blood arab? 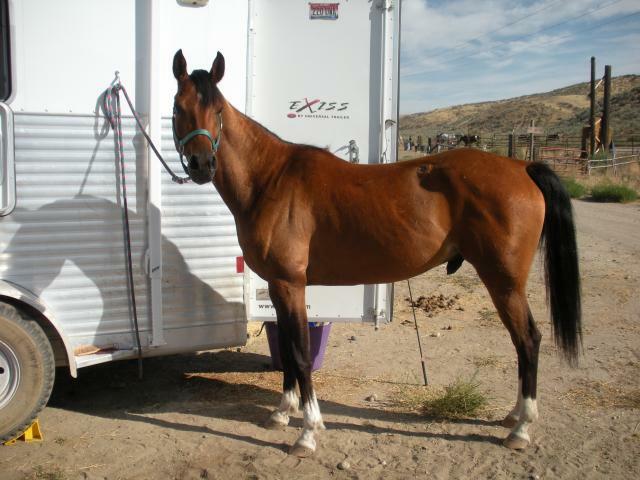 my gelding looked the same way once he’d been cut, at the tender age of 3y.o…went through the same ugliness…i thought i’d been screwed in the purchase. my guy also has that short neck which forces him to stand splayed in the front the same way yours does.,. both hinds together. it’s GOTTA’ hurt his back to have to constantly have to stretch his head/neck down to graze! poor guys! doesn’t hurt his motion any, although he does have difficulty moving around a pen on the off-side,(to the right), picking up that lead and turning his head to the center. i do equine massage and it’s a never-ending session. wouldn’t take anything for him though…he’s my "king of the wind" (you know the book illustrations, maybe) and everything i’ve ever wanted. no white feet though, all black with the half-moon in the middle of his forehead. bay, black mane/tail/legs. 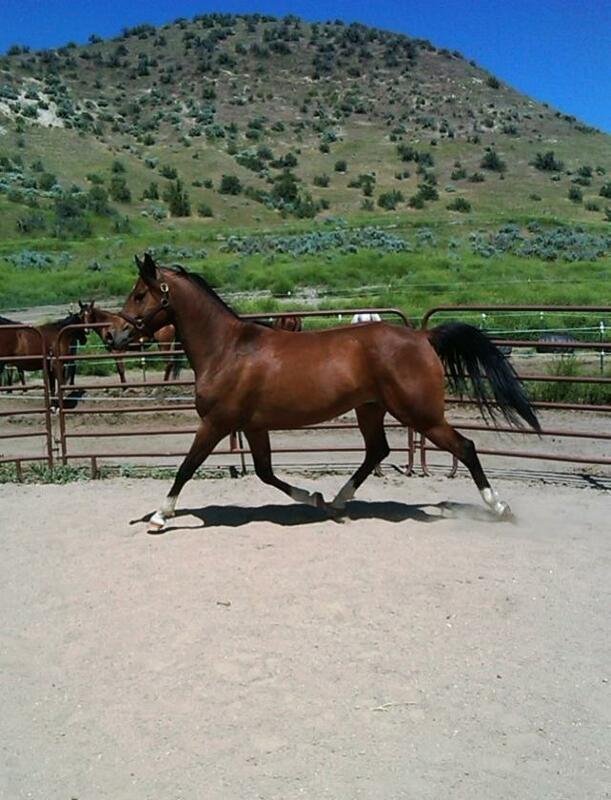 old arabian breeding from the midwest with bask on both sides. short and sweet. love him to death. 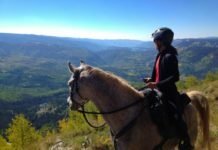 🙂 I raise APHA’s and ponies… Your story is really cute! It DOES get better, it takes a while to get them tweaked just the way you like them. 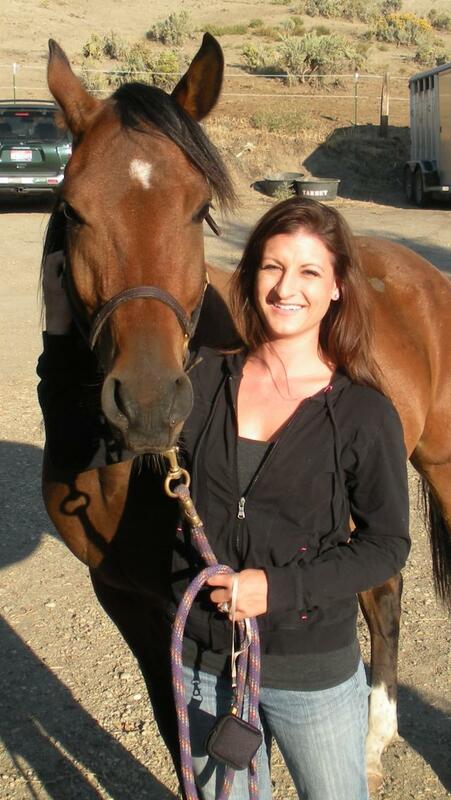 It IS worth it in the end when you eventually have the perfect horse. Then they age… and you cringe the other way. Of ALL of the babies I have raised and started, I have a memory of one ugly duckling in particular. They all go thru phases… some breeds more than others… This One cold was named "Monster Magic" He was 100lbs.+ when he was born… he came out looking like he was a month old already! His Dam’s belly reached all the way to her knees/ hocks before she foaled him. Then, as he started to grow, he had a VERY unique growth pattern! His front end would grow… then his back end… then his front… then his back… Every time his back end passed up his front end, he looked sway backed, then the other end would catch up and he’d look decent… Anyway, your story reminded me of him, and some others lol 🙂 Keep up the good work! You will love the end results!